No doubt you saw Dear Leader’s rant on AT&T here. 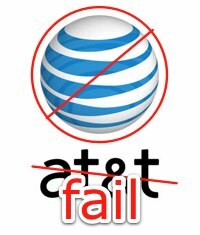 But that’s not the only hit AT&T has taken today. It seems there have been service issues in San Francisco today. TechCrunch’s MG Siegler runs it down, and kindly links back to FSJ. Namaste, MG.